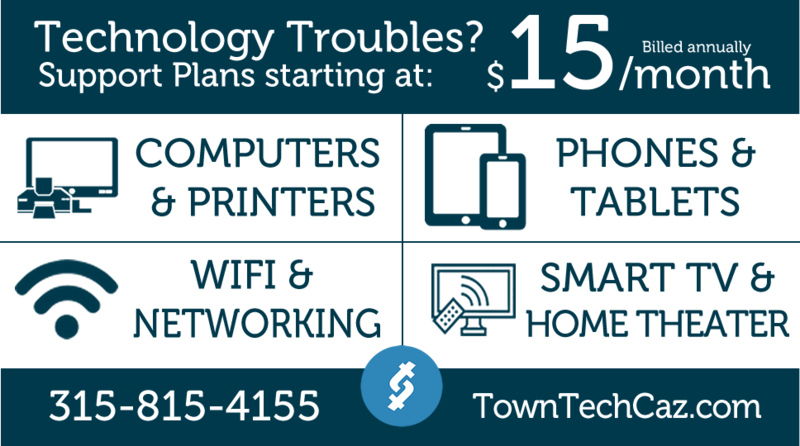 Town Tech: a cell phone, tablet, and computer repair shop. We replace screens, batteries, digitizers, hard drives, upgrade computers, and more! Located at 9 Lincklaen Street in the village of Cazenovia. Free evaluations and same day turnaround for many devices.